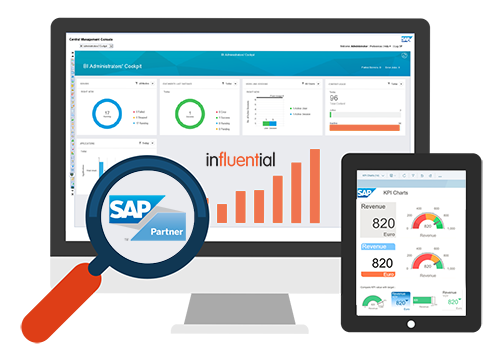 Influential takes its work in SAP BusinessObjects consulting as seriously as you take your business. Every customer is unique, and each receives a bespoke BusinessObjects consultancy service. By choosing Influential, you benefit from a stress-free, productive process you can count on to grow your business. Our unique approach to BusinessObjects project consultancy reduces both costs and timescales. Data Availability – Data is only useful if you can access it. Data Reliability – Data is only reliable if you know its accuracy. Data Completeness – Data is only informative if it covers the whole issue. Influential’s strategy consultancy services integrate the pillars of strategy management: goals, initiatives, and key performance indicators. Defining this trio of factors gives your business the power to hone your decision making and capture your targets. Once your strategy is clearly defined, the path to reach it can then be plotted. Influential uses a step-by-step process which, if followed correctly, will guide your business from goal to result. Influential’s audit will provide clients with the information necessary to ensure efficiency across all systems and avoid potentially damaging outages. By advising clients on new features and products and how they could fit into their deployment plans, Influential offers practical recommendations for the present and the future. 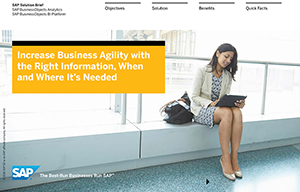 Get an overview of the game-changing benefits of SAP BusinessObjects BI Platform by downloading the SAP Solution Brief here. Contact our consultants to find out how your business can get even more out of BusinessObjects.